What happens when our smart devices become aware of our reputations? Digital reputation scores that are distilled from the data we share will increasingly influence the chances we get in life. What you pay for a loan or insurance, or even your chances of getting that dream job will be influenced by algorithmic judging of the many data-traces you’ve left. For SETUP I developed a plan for an exhibit that shows the work of three artists and three thinkers that we brought together to explore this near future. 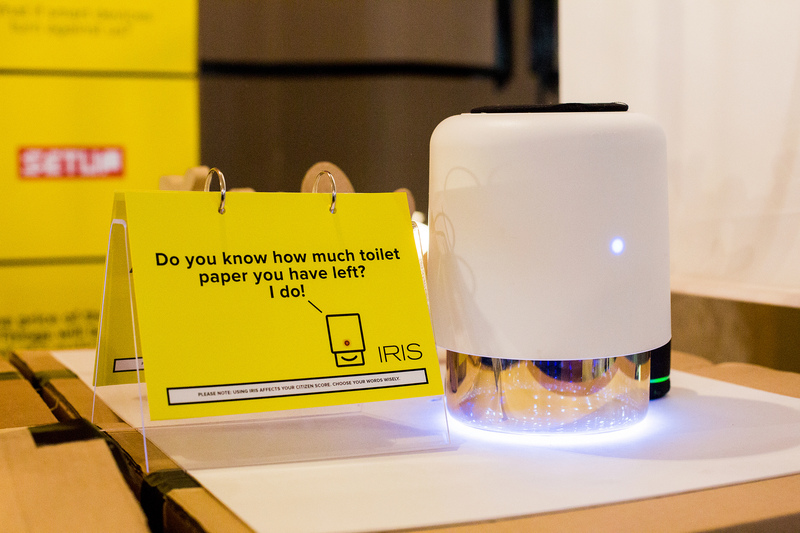 The makers works were exhibited at the 2016 Dutch Design Week. 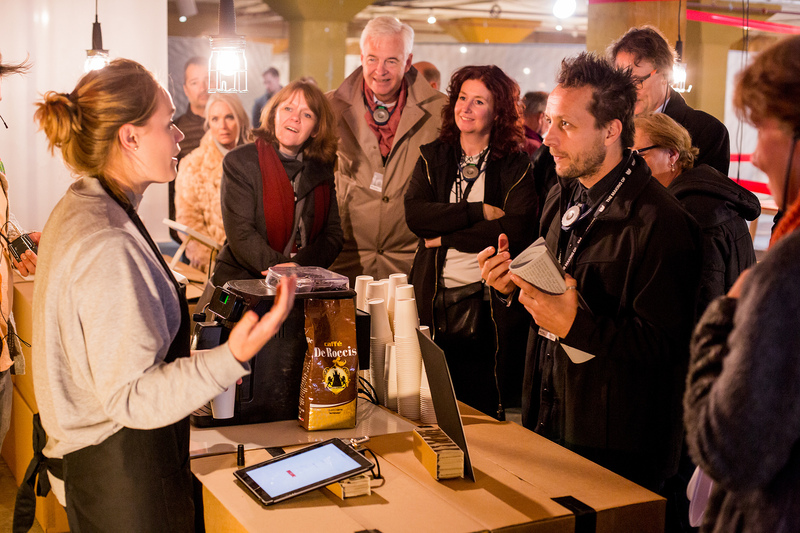 This devious coffeemachine by Vincent Hoenderop will give you coffee based on your area code. If you live in a good neighbourhood you get good coffee, but of you live in a poorer, less well educated neighbourhood the machine gives you a more watery cup.. The project soon after won the ECP Icarus award of 2016. 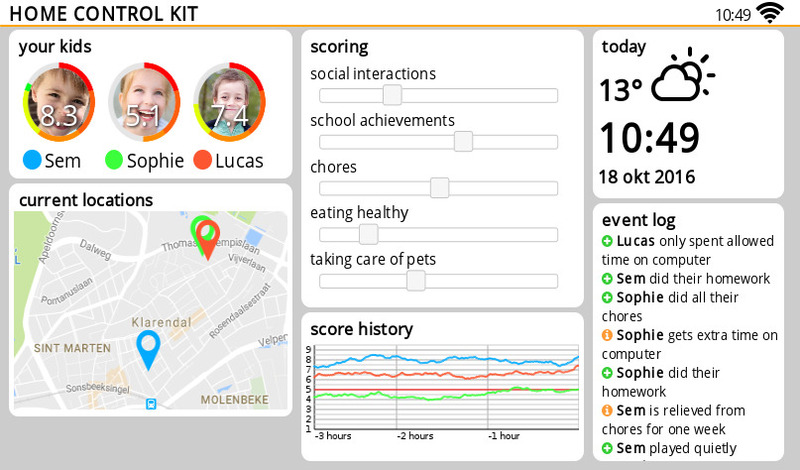 Jasper van Loenen’s home control kit will help you automate parenting. By connecting to your smart home it registers when your kids play too many computer games or helpfully do the dishes, and increases of decreases their ‘family score’ accordingly. As the parent you can of course decide what factors you consider important: doing chores, social interactions, or even school results. Marcel Schouwenaar and his team at The Incredible Machine created a ‘reverse Siri’: a parody of the smart voice-controlled assistants that are being sold by Google and Amazon. The twist: Iris has a hard time hiding the fact that she’s not really out to help you, but also the companies that she is connected to. For example, if you try to buy a cheap flight she will push you to buy KLM instead of Easyjet. The project was produced by Johanneke Minnema, the exhibit was designed by Cornelis Serveert. We partnered with the Just Things foundation, who had an exhibit next to ours which was also about ethical design for the Internet of Things.